Cross-Channeling Marketing and How YOU Can Use It! Want to create a customer experience that is both pleasant and satisfying for the consumer? Cross-channel marketing is the way to go. Utilising this method of marketing not only allows you to reach more people, but also create an experience that is seamless. Below, I will show you how you can capitalise on this popular marketing trend. Multi-channel marketing and cross-channel marketing are two terms that are often mistaken for each other and used interchangeably. However: these methods of marketing have a key difference. 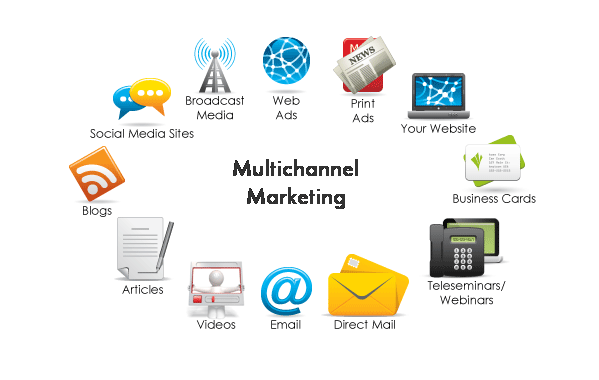 Multi-channel marketing refers to your business having a presence on more than one medium, such as on television, in a newspaper and through direct mail. Cross-channel marketing is similar to this but has the key difference in that it tries to smoothly link each marketing channel to each other. An example of this would be if someone was browsing through a particular product on your website but ended up not buying said product, you could advertise the product for them on another web page or even through an email. Converting your multi-channel marketing campaign to a cross-channel one may be easier than you think. For example, one easy way to do it is to include a URL link on your mail shots. Adding a discount code for use on your products will entice consumers to actually go on your website to browse your wares. Another popular method is by including hashtags on your television advertisement. Twitter is the fourth most popular social media site, with over 330,000,000 active users as of January 2018. When people see a hashtag, they immediately think of Twitter and having on your television advertisements will encourage consumers to search it up, allowing them to end up finding your social media page and some of your products. Finally, utilising cross-channel marketing has a plethora of advantages. First of all, it of course increases the level of engagement from your customers. Different people prefer different channels. Some people prefer television, whilst others prefer browsing the web. Using cross-channel marketing allows you to bring these people together and appeal to them all. You are also able to increase customer loyalty with this method. If a consumer sees a particular brand on a regular basis, the chances of them purchasing from you and staying loyal increases. This is because of the consistency in your message – something consumers love as it will show you off to seem trustworthy. There you have it folks! Being able to reach consumers through more than one medium is important, and being able to seamlessly link one marketing channel to the next will ensure your business achieves greater success. Spring 2018 and YOUR Business! Four Small Business Trends!Winter Olympics and what it means for YOUR business!